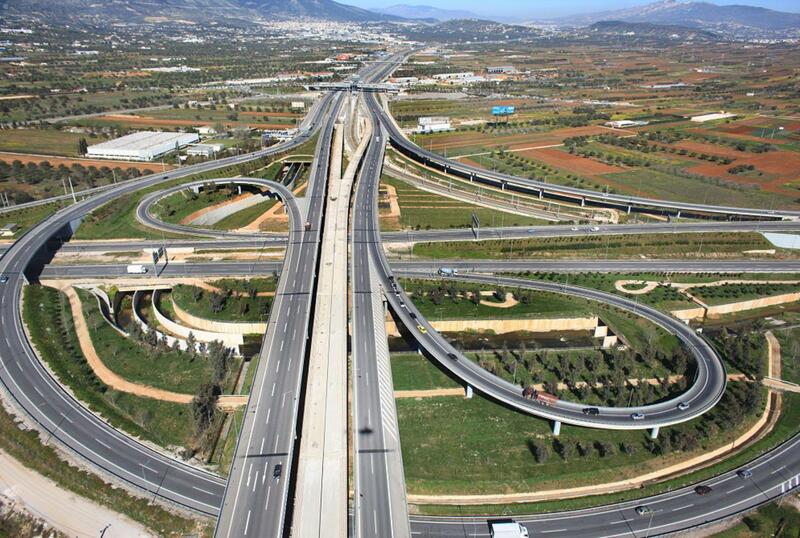 The Athens "Eleftherios Venizelos" International Airport interchange links Attiki Odos with the Koropi - Spata Highway and serves all traffic to and from the Airport, as well as traffic to and from Markopoulo, Lavrio, Koropi, Glyfada, Athens and Elefsina. This is a modern 3-grade interchange providing free flow to all circular traffic. The project was delivered in March 2001.